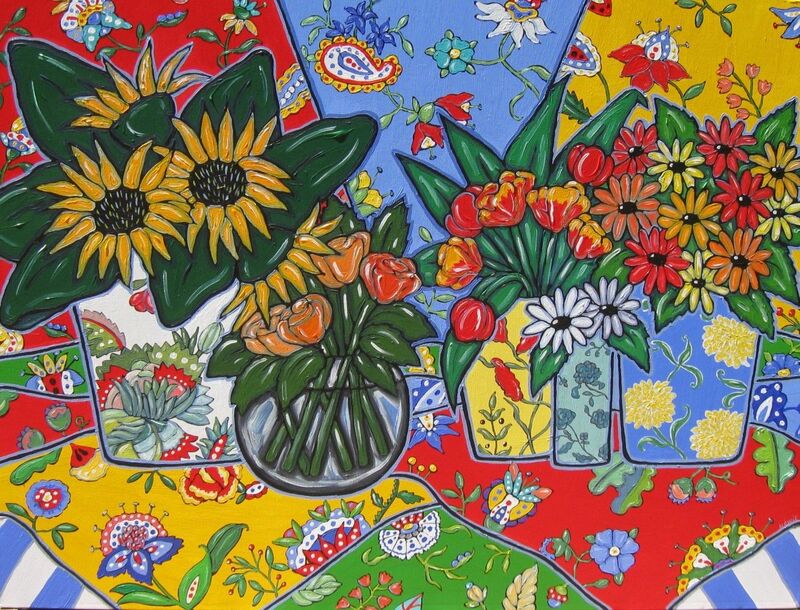 Original acrylic painting of Sunflowers and other garden flowers, inspired by the french countryside and the French Province fabrics. This original will fit into any decor from Country French to contemporary. The bright,vivid colors and textures will infuse any interior with a warm and stylish finish. 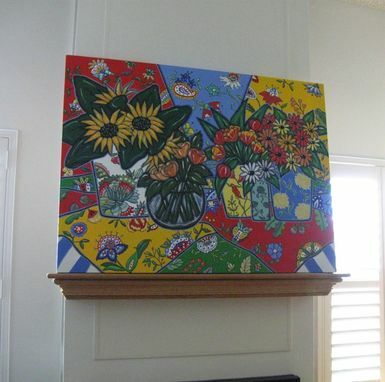 It measures 36"x48"x2" and is painted on all four sides so no framing is necessary. 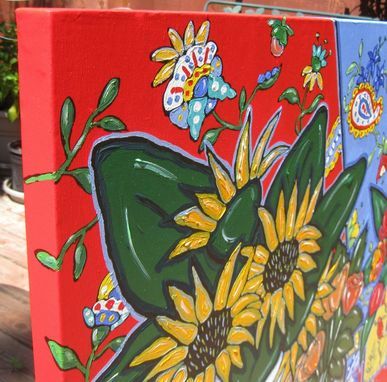 The painting was photographed before varnishing so there will a beautiful sheen to enhance the colors. Also the colors will be a little deeper and more true as they vary slightly from the photo.